The amount of 0.98 USD has been deposited to your account. Accounts: U14034063->U12158848. Memo: API Payment. Withdraw to SecureInvestment from Biologic.. Date: 11:55 14.03.18. Batch: 208333385. The amount of 0.98 USD has been deposited to your account. Accounts: U14034063->U12158848. Memo: API Payment. 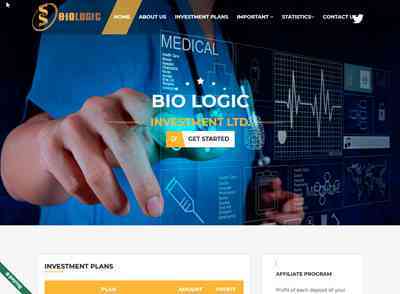 Withdraw to SecureInvestment from Biologic.. Date: 12:08 15.03.18. Batch: 208442410. The amount of 0.98 USD has been deposited to your account. Accounts: U14034063->U12158848. Memo: API Payment. Withdraw to SecureInvestment from Biologic.. Date: 11:11 16.03.18. Batch: 208538922. 6.03.18 17:16;Account;Receive;Received Payment 3.64 USD from account U14034063 to account U1294000. Batch: 208569588. Memo: API Payment. Withdraw to allhyips from Biologic. The amount of 0.98 USD has been deposited to your account. Accounts: U14034063->U12158848. Memo: API Payment. Withdraw to SecureInvestment from Biologic.. Date: 12:33 17.03.18. Batch: 208636758.